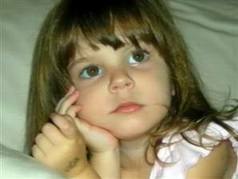 Another Injustice to Caylee Anthony, Check Book Journalism: Just Despicable … People Magazine Reports Dr. Phil Donated $600,000 in Blood Money to George & Cindy Anthony Charity for Interview … Did Some Pay for Casey Anthony’s Defense? 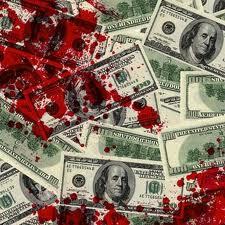 BLOOD MONEY … yet another injustice to Caylee Anthony. Just how much money did Dr. Phil may to the charity of George and Cindy Anthony in order to get their interview last September? Even if it was $1, it is $1 too much and Dr. Phil should be ashamed of himself. It is being reported that $600,000 was paid to the charity in order to gain the interview. This sick quid pro quo check book journalism must stop. According to a forthcoming article in People magazine, Dr. Phil McGraw donated $600,000 to Caylee’s Fund, a controversial charity George and Cindy Anthony set up to protect grandparents’ rights and exploited children. The magazine offers the information in “The Strange Lonely Life of Casey Anthony.” The article is timed to the first anniversary Thursday of Anthony’s acquittal of murder in the 2008 death of her daughter, Caylee. WESH-Channel 2′s Bob Kealing reported that George and Cindy’s attorney Mark Lippman wouldn’t confirm the figure in the People article, but Lippman said the Caylee’s Fund charity was dissolved Friday and $100,000 in it had been distributed to three other foundations. Still, Kealing noted that People reports the “Dr. Phil” money has gone to support Casey Anthony. George and Cindy Anthony went on the Dr. Phil Show in September 2011 where Cindy claimed it was the seizures that made Casey do it. I am not quite sure how Dr. Phil looks himself in the mirror these days.